The first time I lived in Hawaii, I was sent in the US Air Force. They arranged everything, and it couldn’t have been easier. I brought clothes in a suitcase, and my uniforms and other gear. That was about it… some photos of friends, and a lot of papers. Over the years I’ve shipped a lot of furniture, and a handful of vehicles to Hawaii. It becomes quite an involved process when you want to move some or all of your possessions from the mainland USA – or from somewhere else in the world, to Hawaii. There are some things you can do to minimize what might amount to “culture shock” when you move to Hawaii. One of them is buying this book that you can use as a resource. I provide as much information within the book as I can, and many online links to resources you can use to find out more about making the move – to make it as convenient and easy a process as possible. Besides reading this book, what else can you do to get a good picture of what it will be like living the 50th State? Talk to other people and get different points of view about moving here. there are about a million people on the islands, and while most of them like it – or love it, a great deal – there are those that do not and those that will be moving away as soon as they can afford to. You should talk to as many people as you can find that will chat with you about it. I recommend you join and get familiar with using Twitter.com. Twitter is a chat service, I’ll not go through all the details of how to set up an account – you’ll have to handle that on your own. It isn’t too difficult. Using Twitter’s “Search” function you can search the messages of hundreds of millions of members to see who is talking about “living in Hawaii” or “moving to Hawaii”. Once you find some people you can send them a message and ask them if they might share some of their opinions or knowledge on the subject. This is a very cheap, very efficient, and very common thing to do recently. Twitter has become a giant force online for finding information out about anything people are talking about. I strongly recommend you join the service, spend some time figuring it out – and using the search function. I am sure you’ll be able to find helpful people that will let you know their true feelings about living in Hawaii. Be aware that some Hawaii residents aren’t looking forward to anyone else coming to the islands. Hawaii is getting crowded (has always been?) and more people are coming every day to live in paradise. People you meet online are not always the type to portray an accurate picture of what it’s really like to live in Hawaii full-time. They might try to dissuade you from giving it a shot. What is the best way to figure out if you could make it in Hawaii? Visit, of course. Talk to as many locals as you can and figure out what the reality of the situation is. I’m writing this book to reflect the reality as I see it. People see things differently though. The best thing to do is find many people to talk with – all with a variety of opinions, likes, dislikes, needs, agendas, etc. Remember, it is your right to move to Hawaii if you want – like anywhere in the USA. Do your homework and talk to people – or you won’t have a real good idea what living in Hawaii is like. Also, when contacting others that reside in Hawaii, remember it has its own Time Zone – Hawaiian Standard Time Zone. Sometimes the state is 6 hours behind the mainland’s East coast. Sometimes just 5 hours – depending on Daylight Savings Time – which Hawaii does not follow. Be considerate of making contact with people in Hawaii according to their time. Hawaii has the rare distinction of being a rabies-free state. It just doesn’t exist in the islands. Apparently this is something they want to continue – so they restrict pets coming in, very strictly. I remember back in 1985 when I first arrived in Hawaii, there were people I knew that were waiting to have their dogs and cats out of the quarantine station in Hawaii – for an entire year! Today that has changed a bit, but your pet will still stay 120 days unless you jump through some more hoops. If you’re a good hoop jumper, you just might be able to get your pet into Hawaii – and joining you at your home in just 30 days. That’s a lot of improvement over 1 year, right? Guess what? There is also a 5 day quarantine option that you might be lucky enough to qualify for. Fees for bringing your pet over to Hawaii range from $175 to $1,100 – not including the air fare to send your pet from wherever you live currently. Nor does that include costs to visit your pet if you wish – from the other islands. The pet quarantine facility is located on the island of Oahu, in Aiea. If you live in Kauai, you’ll have additional costs that someone on Oahu, won’t have. In addition to restricting the import of cats and dogs to Hawaii – there are requirements for bringing other animals, and plants too. You might think it’s impossible for someone to move all your stuff from your current house on the east coast of the USA – to Hawaii, including your car, truck, and riding lawnmower – but, it’s possible. It’s not even that difficult. Sure there are things you’ll have to manage yourself – but, all in all – it isn’t that big a deal. Typical costs for moving the furniture and other belongings of a 5 person family in a 3 bedroom, 2,000 square foot home – with two cars – will be in the neighborhood of about $14,000 from Florida. The website www.citytocitymoving.us quoted the cost of moving contents of a 3 bedroom house to Hawaii from Miami, Florida to be $14876.46 in 2018. When you are in contact with some people in Hawaii that have moved from the mainland – ask them about their experiences shipping. If they lived in the same region as you – you can possibly use the same local moving company to handle your furniture. Schedule the movers to arrive a day or two before your flight leaves for Hawaii. The good movers will come to your house in the morning – by 0900 or 1000, with a giant truck – or two, and begin the slow process of wrapping each piece of furniture and box you have with blankets and very strong wrapping plastic – so your belongings will survive the trip over the ocean and not get banged up. Pack all your small things – well padded, into boxes. Then, either put them in bigger boxes, or the movers will do it – and pad them too. Bicycle boxes can be had at the bicycle stores. Some will even wrap the bikes for you in bike boxes – well worth it. Some movers will leave it optional for you to have your stuff wrapped with their industrial process. You would have to do it yourself. You may save about $1,000 doing it yourself, but really – you’ll have enough to worry about, rather than taking care of wrapping every box and piece of furniture in your house well enough that it doesn’t get scratched or broken outright – in a boat container that may experience heavy seas. I’ve only had one problem with shipping items from the mainland to Hawaii – my car was scratched up on the door a bit. Matson paid for the damage, so it wasn’t so bad. I’ve shipped 3 cars, a Honda Prelude, a Lexus RX300, and an Acura Integra, and a truck, each for about $1000. This required driving each car from Florida to Los Angeles at the “Matson Shipping” office in Long Beach, California. I shipped a car the other way from Hawaii to Florida when I left the Air Force too – and had no problem. As of 2018 from uship.com it costs $3,248 to ship a Toyota Corolla from Miami to Honolulu. Time to arrive in Hawaii from California – once the boat departs? About 3 weeks. Not too bad, right? 1. Bring everything they owned and that they’ve collected over the decades. 2. Bring the bare essentials, and buy what is needed. People that are in Hawaii already, having moved earlier usually recommend one of two things – either bring everything possible so you don’t have to buy it again in Hawaii, or, sell everything and buy what you need when you arrive. I like this latter option – but, you might not be able to part with your boxes of stuff that you haven’t opened in years. My own opinion is that if you’ve not needed it in the past – at your present home, you will never need it in Hawaii. The Hawaii experience is so different – and it has the power to change who you are as a person. I told you about watching TV once I got to Hawaii. I just couldn’t do it anymore. I felt like I was completely wasting my valuable time because now there were all these other things to do instead. Good thing I didn’t bring a TV here – it would have been pointless. And that’s the point… bringing things that were part of your life in the mainland USA – probably doesn’t make sense. Think hard about whether it’s worth it to take things you may never use again. Shipping is expensive… a regular 3 bedroom home would cost about $10,000 to move just from California. Why not sell all your stuff, pocket that money AND the $10,000 and buy what you need when you arrive in Hawaii? Makes sense to me – but, up to you of course. The clothing you need will depend on where you will live, but in general – shorts and loose, light shirts is all. You will probably buy new clothes when you arrive, so again, I recommend taking the minimum. Bring important documents – ID, tax papers, business papers, medical records, prescriptions and scripts, diplomas and whatever else is essential. United Parcel Service serves Hawaii and it only takes 5-10 days to receive your items when mailed from the mainland. 21’8” long x 8’ wide x 7’ high. As you can see – there is wide leeway and most vans, trucks, and cars fall within that range. Check whatever airline has a hub in the airports near you. 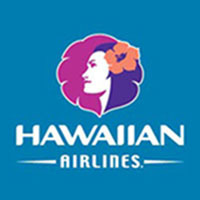 Hawaiian Air also serves some mainland cities – and has some great fares at times. Sell your house, or figure out what to do with it. Rent it out? Make a list – what can you not live without in Hawaii – and what can you sell or give away? Do not’ bring everything you own – there is no point. Buy what you need when you arrive in Hawaii. Your lifestyle may change significantly… mine did, every time I moved! Call your accountant – will any portion of the moving expenses be deductible on taxes? Work moves are able to be written off substantially. Start researching jobs – if you plan on working in Hawaii – well before you leave. In fact, this is one of the major determinants of whether you will end up “making it” in Hawaii or not. Your job should pay enough, and be a good match for your personality. There are some awesome jobs in Hawaii – I’ve had three. There are hundreds, or even thousands more. Finding a job will be difficult before you arrive – but, check out the scene. Find a company you want to work for. Find an area you want to live. Find a career field that has frequent job openings. Do your research before you arrive. Choose an island and an area to live. Saying you’ll live on Oahu or Maui, isn’t enough. The locales differ remarkably from each other. Kapolei versus Hawaii Kai – the differences are enormous. Again, research for many hours to find the place you want to live. This, in addition to your job, will be crucial in the outcome of your move. If you or your family members will be attending school – do your research! There are good and bad schools in Hawaii – and the good ones require a lot of tuition money per month. Punahou on Oahu, where President Obama went, costs over $1,000 per month in tuition. Yes, I’m talking about high school! Have a plan for the day you arrive – and the days after as you transition into a permanent residence. There are condo’s available all over Oahu, but less so on the other islands. There are, of course, hotels everywhere, but they are very expensive to stay during your transition. Notify all friends and relatives of your move. Complete change of address at the post office. Get a bank account in Hawaii. Mainland banks do not exist in Hawaii, so get a local account as fast as you can. If you already have a house, condo, or apartment you’re moving into – turn on the utilities – electric and water a couple days before you leave for Hawaii. Turn off your utilities at your old home. How long will it take you to find a home? I recommend you spend a lot of time thinking about exactly what you want – and compare that to what is available in Hawaii on the island you want to live on. Housing is different on each island, and, within the island are many types of housing too. Have a real clear idea what you want to spend, and where you will work – as much as possible before you go. I think it’s quite possible to find a house and move into it within about 2 months of arriving. You should already be familiar with the island you’re moving to – and you should have a list of homes you want to see that you found on the internet. You should contact a realtor before you go – if you plan on using one, because they can line up a group of homes to show you that fit all your specifications. Sometimes in housing online you can’t see exactly what a neighborhood looks like – a realtor living in Hawaii can tell you what the area is like. There are people that move to Hawaii and rent – they can find a place within a week or two – with just $4,000 in their pocket as they get off the plane in Honolulu. Others are going to buy a home and will need to spend months looking. If that is your situation – you should budget about $12,000 for you (with family) to get through 60 days of living in Hawaii without income. If only you are moving – budget about $7,000. If you and a spouse – $9,000-10,000. You’ll likely be eating out all of your meals unless you feel inspired and want to rent a room with a kitchen and create your own meals. With the time you’ll spend on the road – you are probably better off just to plan to eat at restaurants during your house-hunting period. If you require something better than a $100/night room – budget accordingly. We’re building an online course about living in Hawaii and need your feedback! Hi Peter, we are planning on moving to Oahu this summer. I’ve already lined up work in construction. My wife will graduate from yoga therapy training next month and plans on finding work once we get there. We’ve already done a lot of research into housing, shipping, moving the dogs, etc. But I’m having a hard time finding a place for my mom. She’s on Section 8 because she is disabled with polio, confined to a wheelchair so Iowa winters really get her down because she is stuck inside for months at a time. I’ve contacted the office in Honolulu that handles Section 8 and there is no website with a list of landlords that accept Section 8 which makes it tough. Most of my searches on Craigslist, rent.com, apartments.com come up with “No Section 8” so it’s been difficult. If we can’t find her a place we may need to rent a 2-3 bedroom so she can live with us, but this is not our first choice. Any advice or contacts for this issue? Finding rentals is a huge problem regardless of whether it’s section 8 or not. You’re going to have to get your feet on the ground here before you can have any chance of finding anything for her. Did our investigation— changed our mind about Hawaii. The horrible slang name they refer to us as, racism, tent cities disposing of drug paraphernalia in the streams… ( homeless population thru the roof) abandoned rusted, burnt out cars… 8 $ for a gallon of milk.. 3 mangos for 5 bucks ( farmers market cost).. no thanks. Oh and let’s talk about the DMV!!! The attitude of “adapting to their heritage and you will be fine “… ummm adapt to mine please and quit being rude! Aloha spirit- yeah right lol nope, no thank you, no way, keep it! I’ll stay on the mainland and enjoy my four seasons. It is NOT paradise from what I’ve seen. Thank you! I’m moving there with very little except my car and a few basic essentials. In so excited! How is Oahu for starting a new service business? Well, Hawaii is rated as the worst place to start a business, but real business people don’t let that get in their way. Aloha Peter your advise has been amazing! My husband and I have been vacationing in hawaii every year since 1994 and we are 54 and 62. Our kids are grown with no grand children so we decided to sell our home and move to Hawaii. We have 2 dogs which will be moving with us and I have already started the process of preparing our dogs with the vet so they will be released upon arrival. You mentioned you shipped your cars. We are shipping 2 cars, our master bedroom set and living room furniture. I can’t part with my furniture so we are willing to pay to ship them. We are also bringing my dad who has Dementia and will be staying in assisted living. We have read reviews of people recommend storing your furniture in the mainlaind in case you don’t like living in Hawaii and that the people are rude when registering your vehicles,etc. Everyone is always so nice when we vacation so I can’t imagine not liking Hawaii as my permanent residence. We will be in Honolulu in March on vacation and will look at some townhomes to rent. We prefer new communities which I am assuming is Ewa Beach area. Do you have any suggestions on other areas that is reasonably priced. Also we are coming from Texas. Do you know of any moving companies to ship our furniture and cars? How exciting! I will email you on the moving company I recommend. Do you have any recommendations for moving companies that offers packing and shipping to Hawaii (Honolulu) from California (Los Angeles)? Yes! I have a trusted partner that’s the best in the state. I’ll email you directly. I was looking for a house in Hawaii but they’re just too expensive for me. Do you now any websites where people are adding houses for rent? other than Craiglist and the usual suspects, not much that I know of. Hello! I love your site! I notice you recommend Hawaii Shippers as movers from Mainland to Hawaii. Do you know what kinds of reviews they get? The BBB gave them a grade of B+, but I don’t want that to be my only source. Also, do you know of a forum or network of recent hawaii transplants who can share their move experience, especially with regards to moving companies? Thanks! Thanks Mellie! I have a very good working relationship with those folks and so far from my end have not heard any complaints. However the important part is that if we did get complaints, I would have a direct channel to the company owners to make sure the issue got resolved. The Forum idea is a good one. I’ve been thinking of starting up a Facebook Group for that purpose. What do you think of that? I think starting a forum is an awesome idea, Peter! I would love to contribute my experiences, good and bad, as I’m in the midst of a move now. Please let me know how I can participate; would definitely like to be a part of it. Also, thanks for the words about Hawaii Shippers. They’re on my short list of movers and will evaluate along with other options! Mahalo! Great! I’ll definitely let you know and thanks for contributing!